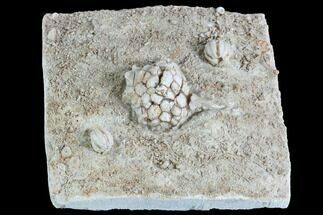 This is a plate of very detailed Eocrinoids of the genus Ascocystites collected near Kaid Errami, Morocco. 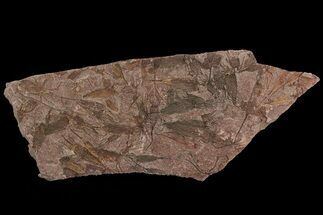 The largest specimen on the plate is about 2.2" in length and the entire plate is 5.7x4.6" The orange coloration due the oxidization of iron pyrite is very beautiful and showy. 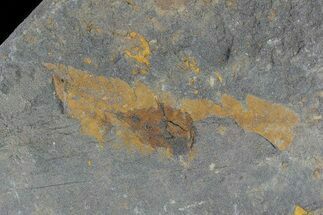 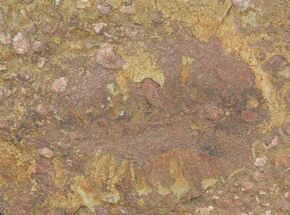 There are specimens on both sides of the rock. 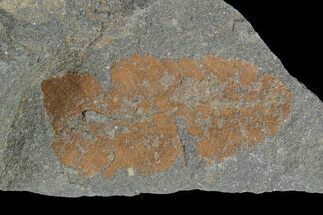 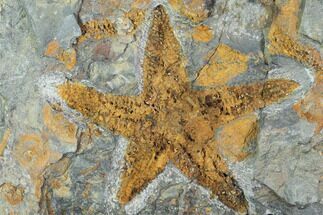 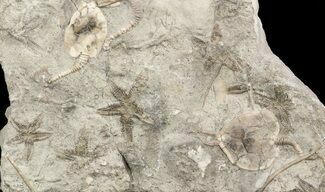 Eocrinoids were an early group of echinoderms that lived between the Early Cambrian and Late Silurian periods. 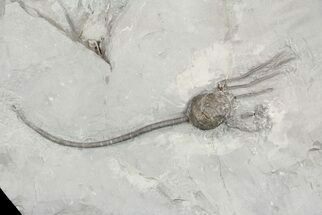 They had a stalk which attached them to the bottom of the ocean via a holdfast and were benthic suspension feeder which used their arms to move particles of food towards a mouth. 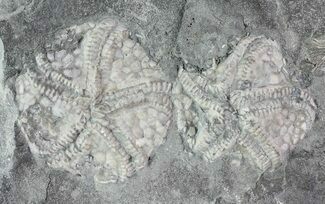 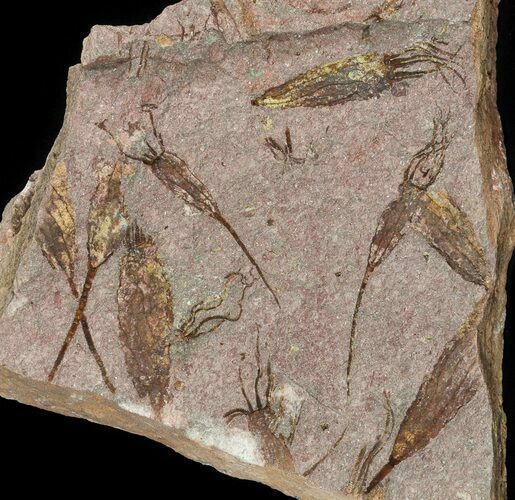 They are believed to be ancestral to many other groups including crinoids and blastoids.